CnetSDK .NET Barcode Generator SDK is used to encode and generate popular barcode symbologies, linear/1d or matrix/2d barcodes, like QR Code, Data Matrix, PDF 417, Code 128, Code 39, EAN/UPC, etc. This .NET barcode generator library can be used in multiple .NET projects like .NET class library, .NET Windows desktop application, ASP.NET web service & application, & .NET Console application. By using well-designed .NET APIs, you can easily create and generate barcodes in your .NET applications, then encode and export barcode to a local file on the disk, stream object, bitmap object, or byte array. CnetSDK .NET Barcode Generator SDK can be used for developing multiple .NET applications with barcode generation features, such as .NET Console application, .NET WinForms application, ASP.NET Web application, and ASP.NET Web Site. And the requirement for using this .NET barcode generator library is simple, which are 32 and 64-bit systems, Microsoft Windows XP and later versions, .NET Framework 2.0 and later versions, & Visual Studio 2005 and later versions. We provide a demo project in the free trial package for your quick reference and evaluation. 1. Download the free trial of .NET Barcode Generator SDK online and unzip it. 2. You can find a .NET barcode generation library called CnetSDK.Barcode.Generator.Trial.dll. 3. Simply add CnetSDK.Barcode.Generator.Trial.dll to your Visual Studio .NET project reference. Please Note: a watermark ("www.cnetsdk.com") will be shown on each created barcode image randomly if you are using a free trial package. 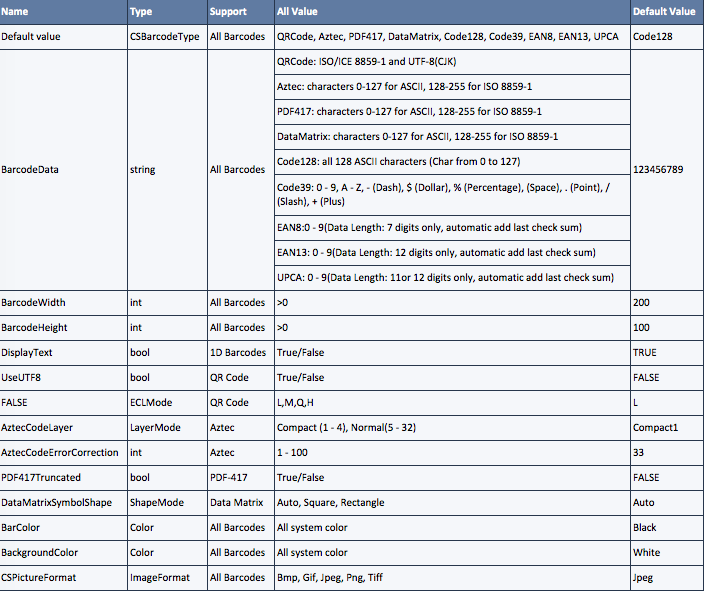 For linear and 2d barcodes generation & creation in Visual Studio .NET projects, the following .NET APIs should be used. After integrating .NET Barcode Generator Library into your project reference, you can use these mature APIs to create, draw, save and output bar code image, like creating QR Code in .NET project. You can save generated barcode as a local image file, or encode barcode as a Bitmap, Stream, or Byte Array. // Used to generate barcode and save as a local image file. // Used to generate barcode and encode to the Bitmap object. // Used to generate barcode and encode to the Stream object. // Used to generate barcode and encode to byte object. Linear or 2D barcodes are different from each other. They have different encoding data, barcode size, & symbol, and are used for different applications. CnetSDK .NET Barcode Generator Library allows .NET developers to customize and set barcode properties for special barcode use in .NET projects. And the following picture presents all the details. You may develop a desktop application for users to encode and create barcodes. You may need to generate and draw barcode symbology on a web site page. Here, we provide detailed online developer guide for your reference: .NET Windows application barcode generating & creating, ASP.NET web application barcode generating & creating. Moreover, C# sample code for barcode generation and VB.NET sample code for barcode generation are provided as well. This .NET barcode creator & encoder library can encode and generate high print quality barcode images for your .NET windows and web applications. It can generate linear bar codes Code 39, Code 128, EAN-13, EAN-8, & UPC-A. 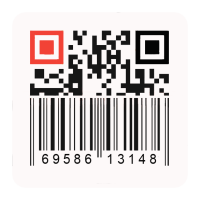 2D barcodes Aztec Code, QR Code, PDF-417, & Data Matrix can also be created.